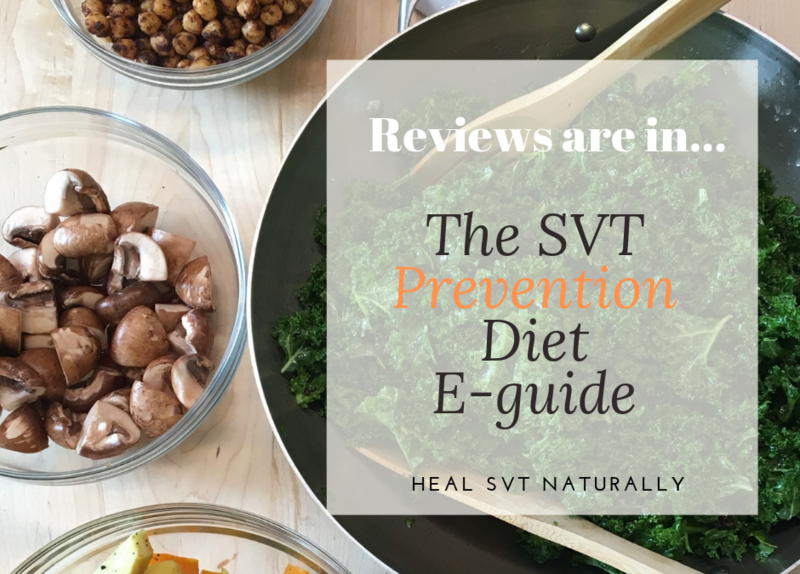 I cannot tell you how happy these reviews about The SVT Prevention Diet E-guide make me feel. Thank you!!! I create self-empowerment tools to help people heal their SVT naturally, and one of my most informative and ground-breaking tools is the SVT Prevention Diet e-guide. 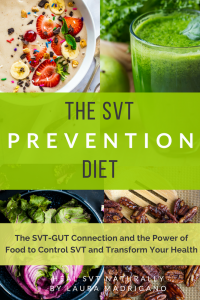 The SVT Prevention Diet E-guide is a 200 page Digital download that will help you learn everything you need to know about The SVT-Gut connection and how to use Diet for SVT Prevention, management and long-term healing. “This e-guide exceeded my expectations. It was so comprehensive and detailed!! !